Congratulations – you’ve made it through another week! We’ve got the best ways to celebrate for you right here. Thursday starts things off with the Royal Palm Market and BOGO Bacardi at the Oyster Bar. 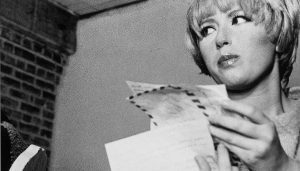 It’s also the perfect opportunity to check out the MFA’s This is Not a Selfie exhibition or the Dali’s Clyde Butcher series before they leave on the 25th with its weekly reduced admission after 5pm. 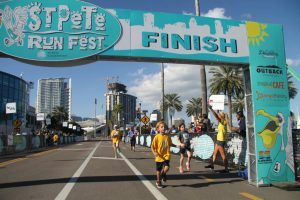 Friday marks the beginning of the second annual St. Pete Run Fest with an expo and packet pickup for each of the many events, as well as the third annual cheese-themed Oozefest in Albert Whitted Park. Saturday is filled to the brim with things to do, from the Tampa Bay Times Festival of Reading to Chillounge Night and a whole bunch in between. Wrap things up on Sunday with the St. Petersburg 2018 Tellabration for a night of storytelling and the second day of the CraftArt Festival for your holiday shopping needs. There’s always something for everyone! Have a great weekend! 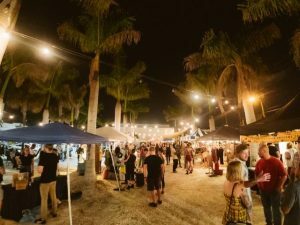 The Oyster Bar has partnered with Bacardi to bring hand crafted cocktails to St. Pete (along with a buy one, get one deal)! This takes place all day on Thursdays, with a variety of cocktails at just $10. These include the Day Dream Believer, Banana Rama, and more! Check out Albert Whitted Park for cheese galore! 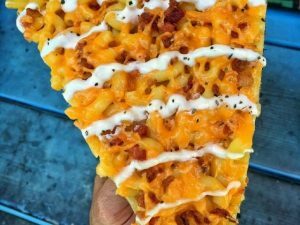 Check out various food trucks as they add cheese-inspired dishes to their menus from 6PM to 10PM. The John Johnson Band will provide live music as you browse and sample countless cheesy foods prepared by chefs from around Tampa Bay. Craft beers will also be available for purchase. Friday marks day one of the St Pete Run Fest! Pick up your packets for all of the weekend’s events in the Mahaffey Theater Ballroom from 3PM to 6PM, then check out the expo in the plaza! Get prepped for a fun, running-filled weekend! For the full schedule, visit here. Visit the Vinoy Renaissance this Friday night from 5:30PM-7:30PM for a free art show! 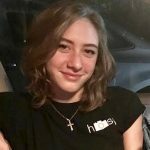 Meet the artist and view their works while supporting the local art community. From 10AM to 5PM at the University of South Florida, St. Petersburg, check out the annual Festival of Reading! This year’s authors include Robert Olen Butler, Tyler Gillespie, and Michael Koryta among many others. The event is free and open to the public. For more information, including parking locations, click here. Starting this Saturday, the James Museum of Western and Wildlife Art brings pop art vibes to its galleries with this exhibition James Michaels: An American Pop Life. This special exhibition features Pop Expressionist and Painterly Realism paintings from Michaels, a Tampa Bay artist. The exhibit runs November 17th, 2018 through March 3rd, 2019. The museum is open daily from 10AM – 5PM and until 8PM on Tuesday evenings. The festivities begin on Saturday with the Outback Steakhouse 5K run and the PeliKids Races! Packet pickup (if you didn’t pick it up on Friday) is between 6AM and 7:45AM in the Mahaffey Theater Connolade outside. The race begins at 8AM near the Dali Museum. The PeliKids packet pickup is from 9AM to 10:15AM at Albert Whitted Park and the races (the Lil’ Shrimp Fun Runs and PeliKids One Miler) begin at 10:30AM. Half-marathon and 10K packet pickup is from 10AM to 4PM in the Mahaffey Theater Ballroom. All day long, from 6AM to 4PM, check out the running expo in the theater plaza! See here for more information. 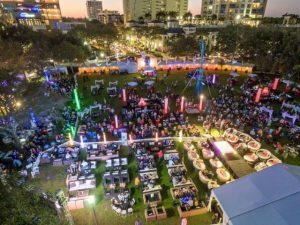 North Straub Park will transform into an illuminated wonderland during the 11th Annual Chillounge Night St. Pete! Enjoy an evening of live music, food and drink, all while lounging on chic outdoor furniture that will be glowing with LED lights. Visit the Coliseum this weekend and get to holiday shopping from 10AM to 5PM! There will be candies, jewelry, decor, and so much more. Check out the many different exhibitors and everything they have to offer. This one stop holiday shop will save you time, effort, and energy on your holiday ventures. Free admission and parking. The first of two Shopapalooza Festivals happens this Saturday from 10AM to 5PM! Get ahead on your holiday shopping with free entertainment, giveaways, and more. Over 130 shops, restaurants, art galleries, and everything in between come together for this event! Admission is free, and there will be a variety of children’s activities. Just outside the CraftArt Gallery on Central Avenue, check out handmade ceramics, fiber, glass, jewelry, metal, paper, and mixed media artwork just in time for the holidays! The festival goes from 10AM to 5PM on Saturday. It’s the most wonderful time of the year, and the Sundial is kicking things off with the holiday decorations! See the thousands of lights, get your face painted to look like your favorite reindeer, listen to the Christmas music, visit Santa himself, and experience real snow! The festivities begin at 5:30PM and end at 8:30PM, with snowfall nightly every half hour from 6PM to 9:30PM and weekend visits from Santa! If you like salsa dancing and vinyl DJs, this is the perfect night for you! DJs Mike Sensation and Elias Mambo will have the best dance music at the Iberian Rooster’s Subcentral. $7 margaritas and $3 Coronas will be available all night long! Cover is $10 and capacity is limited, so get them ahead of time here. The St. Pete Run Fest wraps up this Sunday with its final races and a post-run party! The half-marathon kicks off at 7AM near the Dali Museum and the Trop 10K begins an hour later in the same place. Wrap things up with the post-run party from 8:30AM to 1PM in Athlete Village at Albert Whitted Park. See here for more information. Just outside the CraftArt Gallery on Central Avenue, check out handmade ceramics, fiber, glass, jewelry, metal, paper, and mixed media artwork just in time for the holidays! The festival goes from 10AM to 4PM on Sunday. As part of a worldwide celebration of storytelling for adults, the 2018 St. Petersburg Tellabration is a night of guilds and storytelling enthusiasts to use their talents. Enjoy the tales of celebrated storytellers such as Kuniko Yama and Walt Belcher (among many others) at The Studio@620 from 1:30PM to 3:30PM. Tickets are $10 and can be purchased here. For more information about the event, see here.